Update: The 10.1-inch big brother of the A100, the A500, is also available for pre-order and ships on April 20, though it will cost you the substantially larger sum of £449. Why? It's packing an LED-backlit display (as opposed to LCD), 32GB of HDD space, and 1GB of RAM. 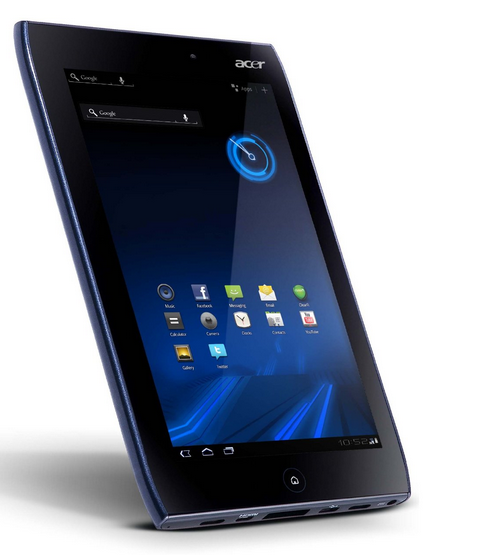 This one only applies to our friends across the pond for the moment, but Acer's first attempt at an Android 3.0 tablet has just gone up for pre-order on Amazon UK.